Conclusion: Dang That’s Good Butterscotch Root Beer is good. No, it is very good. It has the traditional root beer elements but then it goes a different direction by adding the butterscotch flavor. I wasn’t sure I would like it but I am sold. This is a very good root beer. If you don’t like butterscotch you probably won’t like this brew. However, if you have even a mild affinity for butterscotch you owe it to yourself to give this one a try. This root beer earns a coveted “Editor’s Choice” award. Bottle and Label: Brown bottle and predominantly brown label that touts the “real sugar” the brew is made with and features a nice little story from the 19th century about root beer. Smell: Smell from the bottle is fairly strong with a nice balance of wintergreen and licorice. The wintergreen smell becomes dominant when it is poured. Head: Very tall and with a nice thick foam that lasts for a long time. This would be an excellent choice for a float! Flavor: “Well balanced” and “classic” are the words I would choose to describe the flavor of this brew. The traditional root beer elements are all here with vanilla probably coming through as dominant and offering a nice, smooth flavor. There’s no bad aftertaste either. Conclusion: After the last root beer I reviewed, this was a pleasant surprise. 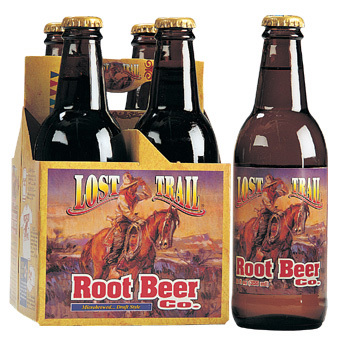 Lost Trail Root Beer doesn’t try and do anything fancy. This is just good solid root beer through and through. The taste is strong but smooth and would be good with a meal, a float, or just to sit and savor after a long day at work. Sometimes a brew gets high marks for succeeding at being different and sometimes a brew gets high marks for doing the classic formula better than almost everyone else. This brew is the latter. Good. Solid. Root Beer. Editor’s Choice. Conclusion: The hot summer is finally over in Texas. Sweet relief! I don’t know about everyone else, but I love an ice cold root beer on a pleasantly warm day. It lets me enjoy both the weather and the brew. Frostop Root Beer is a winner in every department for me. It has a great smell, a foamy head, smooth carbonation, and a strong flavor with some nice vanilla and honey hints. It might be just a little bit sweeter than most root beers, but it works very well for this brew. If you like a smooth root beer, you owe it to yourself to hunt this one down. I give this one my highest recommendation. Frostop Root Beer is an Editor’s Choice. 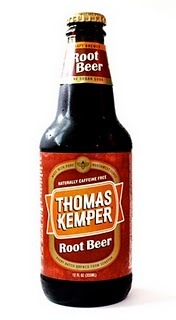 Conclusion: Thomas Kemper Root Beer is everything a root beer should be. 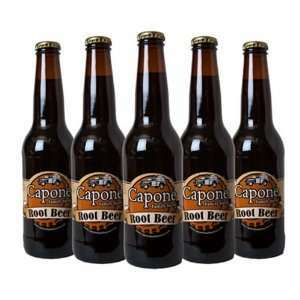 It has a great smell, a great head, a wonderful flavor, and enough complexity for even discerning root beer drinkers to enjoy. This root beer should definitely be on your short list. If you find it somewhere, don’t hesitate to pick up a bottle and give it a try yourself. This brew earns a coveted “Editor’s Choice” award and a regular place in my fridge. Bottle and Label: Brown bottle with a catchy label that has an old Europe feel to it. Smell: Strong vanilla smell. This brew has a stronger vanilla smell than any I have encountered to this point. In fact, it is almost like a lighter cream soda smell. Carbonation: Medium-low level of carbonation makes this brew feel very smooth without coming off flat. Head: Short head, but very foamy and long lasting. Even after a minute the head had not completely dissipated. Flavor: Incredibly smooth flavor with the dominant taste being one of vanilla. It definitely has a cream soda vibe in the flavor. This brew leaves no bad aftertaste and offers pleasant flavor from start to finish. Conclusion: Barrel Brothers Root Beer certainly lives up to the “creamy vanilla” billing on the label. This is one of the most pleasant brews that I have had in a long time. It strays a bit from traditional root beer flavor in favor of a creamier more “cream soda-esque” approach. Thankfully, it does not run so far to the cream soda side that it loses its root beer elements. If you like a brew that is smooth from start to finish or if you are looking for a good brew to compliment ice cream or other deserts, this is one for you. I think just about anyone would like this brew and the smooth vanilla flavor sets it apart from the pack enough for me to award this tasty brew an Editor’s Choice award! RBR’s Grade- A- (minus) – Editor’s Choice!